Every year after the Nazis came to power they organized a ‘WINTERHILFSWERK’ a winter relief programme that was financed by charitable public donations. 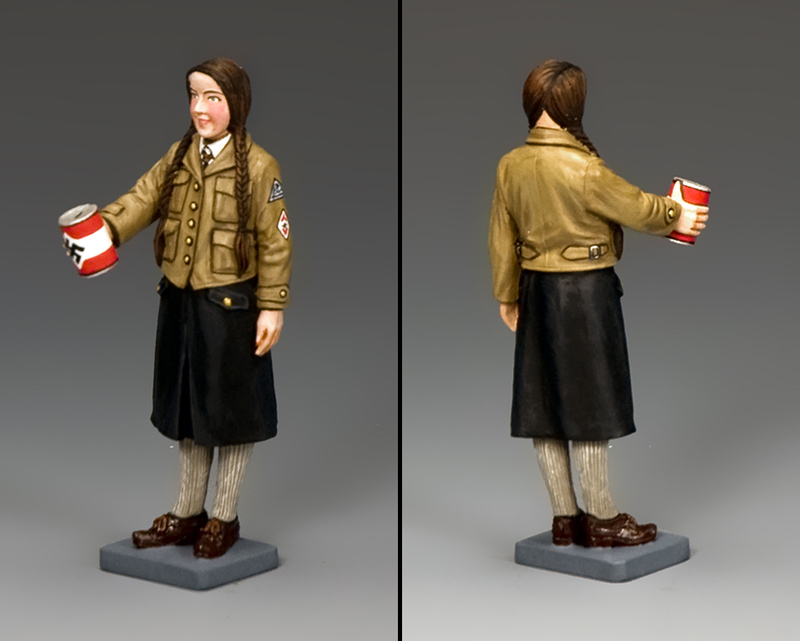 Its aim was to provide food, clothing and coal to other less fortunate Germans during the inclement months. 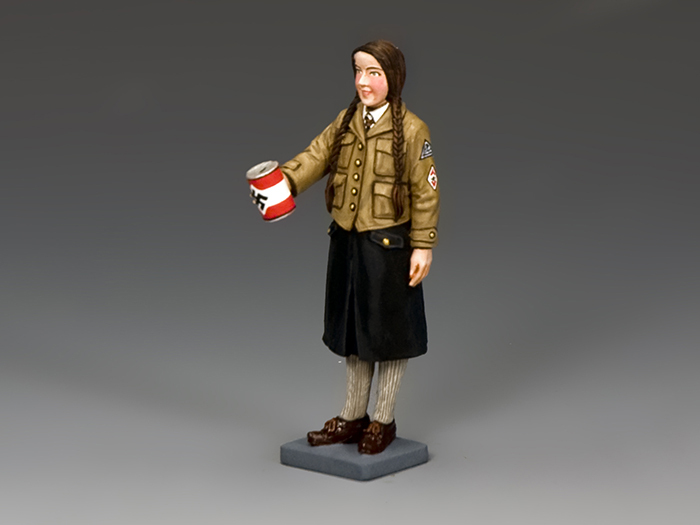 BDM Girls and Hitler Youth boys led the way in gathering money from the general public all over the Reich. K&C’s smart young BDM girl is doing just that with her collecting tin held out before her.